Please fill out the following reservation form and you will be contacted by P&P Golf Cars. 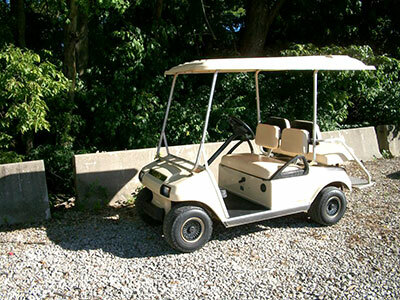 Questions regarding reservations should be made to P&P Golf Cars at (317) 831-4283. IF YOU DO NOT RECEIVE A RESPONSE WITHIN 48 HOURS AFTER SUBMITTING YOUR RESERVATION FORM CONFIRMING YOUR RENTAL, PLEASE CALL 317-831-4283 AND ASK FOR STEPHANIE. We have had intermittent problems with requests sent from Yahoo and AOL e-mail addresses. If you do not receive a response within 48 hours after submitting your reservation form confirming your rental, please call 317-831-4283 and ask for Stephanie.